Since Instagram launched in October 2010, it has amassed 800 million active monthly users according to Instagram’s about page. In this guide, we’ll tell you what you need to know to create and maintain your business’ Instagram account. 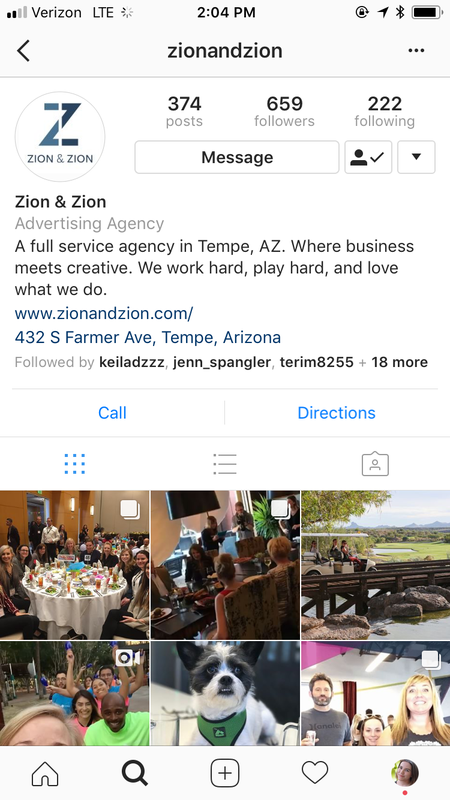 As a leading national social media agency, we at Zion & Zion have continued to expand our knowledge in all things Instagram, striving to benefit our clients’ and our own social media efforts with this extremely visual platform. Instagram has a list of terms that you need to know for various aspects of your marketing strategy. Here’s a breakdown of the main essentials for your business. Your 30-character account name, which is used in updates to mention you. It’s also what makes up your unique Instagram profile URL: http://instagram.com/username. While you can use up to 30 characters, remember that shorter is better, making it easier for future followers to remember. 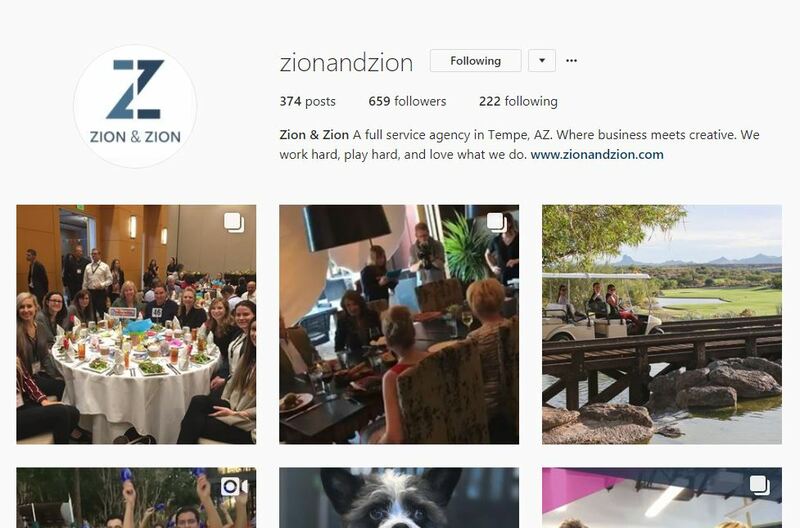 A 150-character description of your business that you can add to your Instagram profile. 160×160 square image of yourself, your logo, or another photo that represents your business. This photo appears next to your Instagram posts and comments. The ability to follow another Instagram user’s profile. When someone follows your Instagram account, they become your follower. When you choose to follow another Instagram account, you are following them. The ability to let an Instagram user know you enjoyed their post. You can Like a post by clicking the heart or double tapping the photo/video. As stated previously, this is another way to quickly like another user’s photo. Tapping the image or video two times will make your account like the user’s post. The ability to leave a response on an Instagram user’s post. A keyword or phrase you include with a ‘#’. For example, if you share an image of the beach, you might want to add the hashtag #beach to give it more exposure beyond your current followers. The ability to send a photo or video to specific users on Instagram without them posting on your profile or in your followers’ news feed. 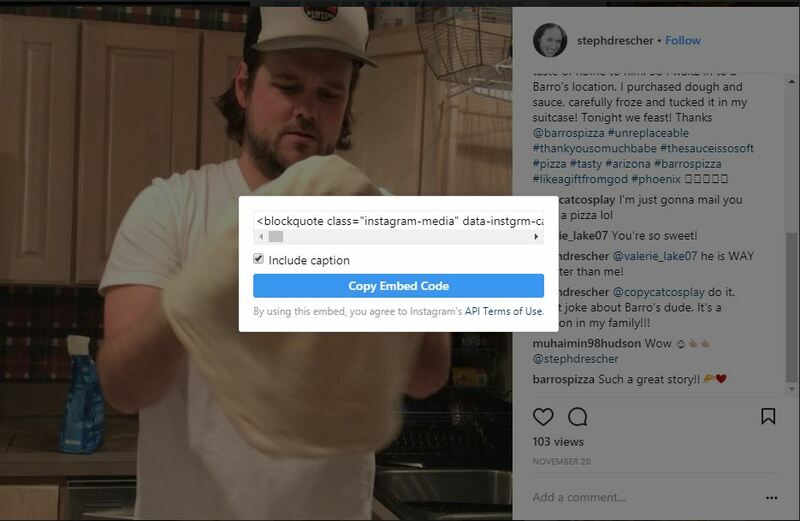 The ability to add an Instagram post to your website or blog using HTML code created by Instagram. Option available on desktop browser only. The home tab contains the news feed of photos and videos from those you follow on Instagram. 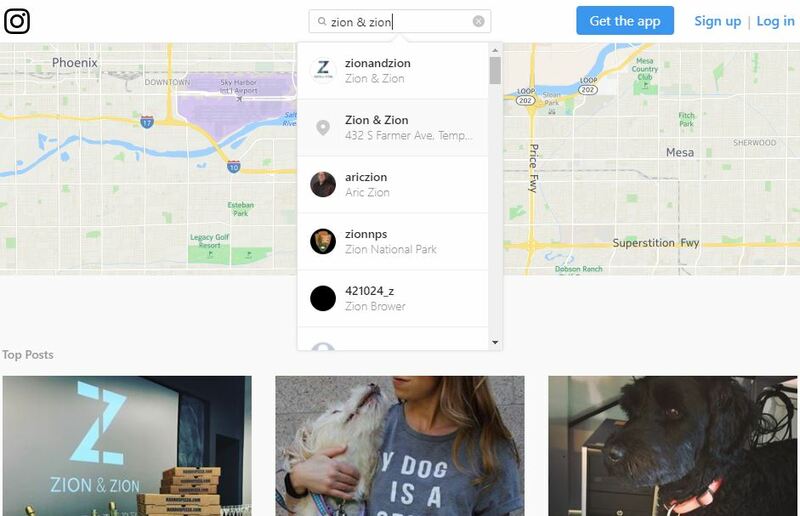 The search tab allows you to search for photos and people by keyword or hashtag. Also on this Explore page are photos and videos that may be relevant to you based on people you follow or posts you like. The camera tab allows you to take new photos and videos or choose from photos and videos in your camera library to upload to your Instagram account. The activity tab allows you to see the latest activity related to your account, such as new followers, likes, and comments. It also allows you to see the latest activity by those you follow, including their following and likes. The profile tab shows you your profile photo, name, bio, website link, and latest updates. You can edit your profile from this tab from the settings wheel to configure your account settings, app settings, and options. When editing your profile, emojis can be utilized to bring personality to the description of you or your business. Be sure you utilize the website link, as it’s the only clickable link you can share with your followers. Like Snapchat stories, you can upload Instagram stories that disappear after 24 hours. Add a filter to your face, a sticker to your photo, and more. As of December 2017, you can also highlight stories on your profile and then remove them whenever you would like. When someone visits your Instagram profile on their desktop browser, they’ll see the following. On a mobile device, they’ll see this. Based on first impressions, here are the most important elements of your Instagram profile that appear above the fold. Cropped in a circle, make sure no part of your logo or image is cut off. Make sure they clearly represent your business and are recognizable for potential followers. Your Instagram profile bio appears next to or below your profile photo on a desktop and in the app, respectively. In the app, you can use special characters to point at your website URL, which appears below your bio. On a desktop browser, your website URL follows your bio, so your special characters may no longer point to your URL. Make sure your 150-character bio describes both your business and what people can expect from your Instagram account. It’s great to know what you do, but people deciding to follow you on Instagram will want to know what kind of photos and videos you plan to share. Post regularly with high-quality content that’s recognizable for your followers. Just like any other aspect of your online marketing, you should plan your Instagram marketing strategy. To be successful, you should consider these tactics. Whether you’ve just created your Instagram account or you have been using Instagram for years, one of your goals should be to grow or continue to grow your Instagram following. There are several organic ways to do this, no matter what stage you’re in. They include the following. Add an Instagram button to your website that links to your profile. Embed your Instagram posts on your website. The embedded post will allow people to click through to your Instagram page and follow you. Include a link to your Instagram profile in your email signature. Services like WiseStamp allow you to create a professional email signature that includes your social links. Include a link to your Instagram profile in your business newsletter. Participate in hashtagging for exposure to a larger audience, either in your photo’s description or in a comment on your photo. According to Instagram, the top hashtags for 2017 were #love, #fashion, #photooftheday, #photography, #art, #beautiful, #travel, #happy, #nature, and #picoftheday. Be sure to also use searchable hashtags relating to your business name and industry. Follow people on Instagram that have the potential to be customers. Whenever they ask questions along with their photo and video posts, answer them. Include a link to your Instagram account, or your Instagram username, on your business card. Encourage employees within your company to have personal Instagram accounts and to follow the main business Instagram with their personal accounts. Look for other profiles where you have the option to link to your Instagram account. These profiles include Google+, Klout, most forum profiles, most author bios for publications, and more. For those considering purchasing Instagram followers, don’t. We recommend steering clear of purchasing Instagram followers to ensure every follower you receive is a true, engaged fan of your brand. Because your latest updates are featured prominently on your Instagram profile, it’s in your best interest to post updates to your Instagram account as often as possible. Here are some ideas on what, when, where, and how to post. While Instagram is a great way to connect with your target customers, it’s not about publishing banner ads and commercials. It’s about publishing photos and videos that help your customers get to know the real individuals behind your business. Here are some ideas on what you can post on Instagram. 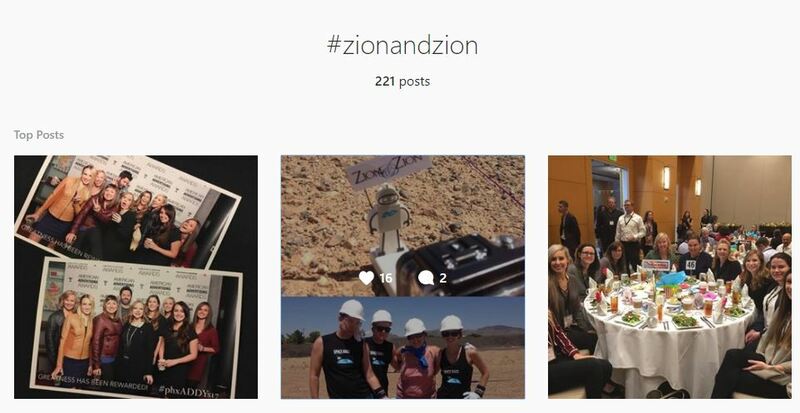 Fun behind-the-scenes photos and videos from inside your company. Teaser videos for upcoming interviews, commercials, webinars, or other full-length videos you plan to release. Teaser photos promoting a product. Photos and videos of customers using your product. Photos and videos that align with popular daily Instagram hashtags. Speaking of hashtags, be sure to research popular hashtags that are relevant to your business and your products. This post by Post Planner offers seven suggestions for 38 verticals. They also have 25 hashtag suggestions for Instagram users who want to grow their following. A great source of inspiration on what to post can come from your competitors. For Instagram accounts with under 25,000 followers, you can use the SimplyMeasured Instagram Free Analytics Report to analyze popular posts from any Instagram account. You can also use tools like Rival IQ to see popular photos and videos from a group of your competitors. Also, remember that Instagram content that comes from your followers can be twice as powerful as the content you create. Invite your fans to post photos and videos of themselves using your products and direct them to use a branded hashtag. You can then use tools like The Social Board to aggregate the best content shared by your fans on Instagram and share it on your website. 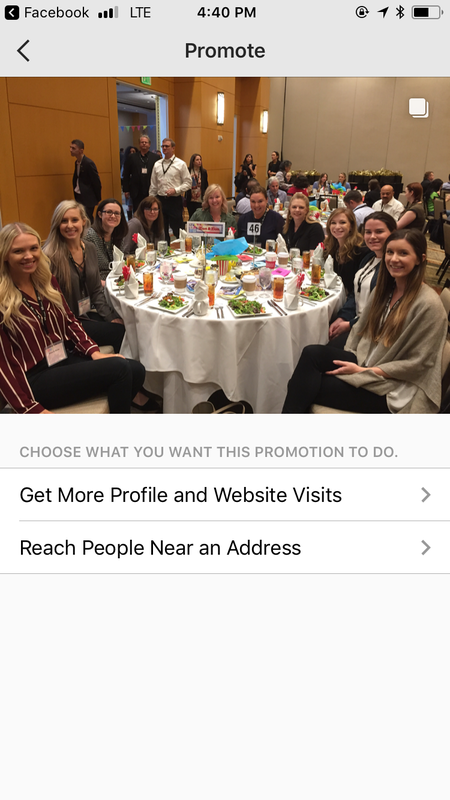 A great option for sharing events and deals on Instagram are Instagram Stories and Live videos. Go live during a business event and share it to your story when you’re finished for it to last 24 hours. You can also save stories within the platform itself with the Stories Highlights feature, which was released December 5, 2017. 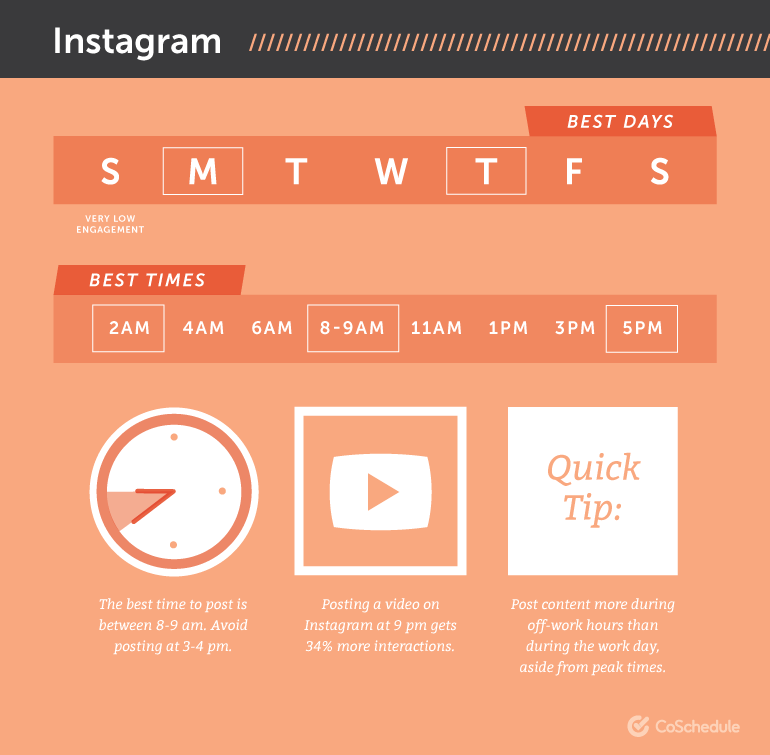 According to CoSchedule, the following illustrates the best times to post on Instagram. Of course, the same days and times won’t work for every business. Your best bet is to try SimplyMeasured’s Free Instagram Analytics report. This report will analyze your Instagram’s activity and determine the best times for you to post. For important messaging, remember that your most influential Instagram users may not be on at peak times. For this reason, you may want to find a few different ways to get your message across (different photos and videos) to make sure your posts are seen. In addition to posting to your Instagram account, configure Instagram to share your posts on Facebook, Twitter, Tumblr, and a few other networks. Cross-posting your Instagram content will help you gain more exposure for your business and your Instagram account. It can also give you some fresh new content to share with your other social media audiences. You can post photos and videos captured within the Instagram app, photos or videos stored on your photo library, or Boomerangs and videos that’re stored in your smartphone’s photo library. 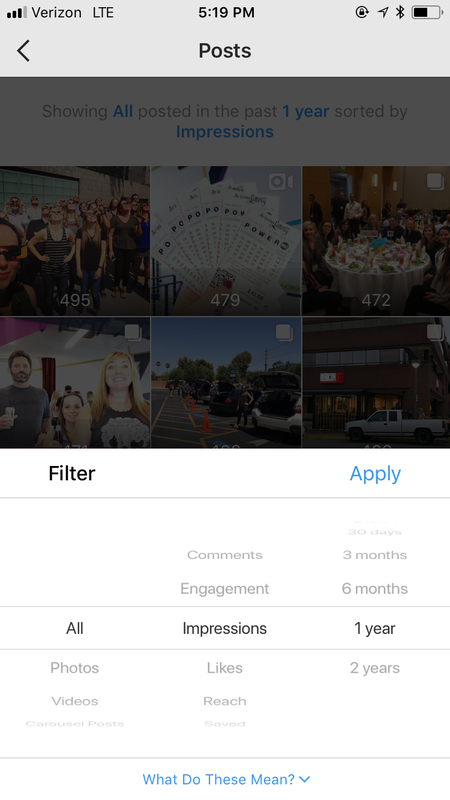 Once you take or choose a photo or video, you can edit it in the Instagram app by adding filters or adjusting settings for brightness, contrast, saturation, and other details. You can also choose to share multiple photos at once or create a Layout. After editing your photo, click next to write a caption, tag any Instagram users in your photo, and add your location. Then, opt-in or out for other social sharing. Once published, you can edit your caption, tags, and location. You can also turn off commenting or share or archive your post by clicking the “…” to the right of your username. Instagram can be a difficult network to search. There are some tools that’re listed at the end of this guide that will help you out. Two approaches you can take to find brand mentions are searching brand hashtags (including misspellings of your name) and utilizing location pages. In addition to monitoring mentions of your business on Instagram, you should always monitor comments on your Instagram posts and your Instagram Direct messages. These are areas that customers may use to attempt to get customer service from your business. You should always respond to any customer service requests publicly. If you cannot resolve the issues on Instagram (which is likely), then mention the user in a comment and provide an email address that they can use to contact you for more help, or ask them to send you a direct message. With the embed option, you can take the best Instagrams about your products and use them as testimonials on your website, if you receive permission from the original owner of the post. 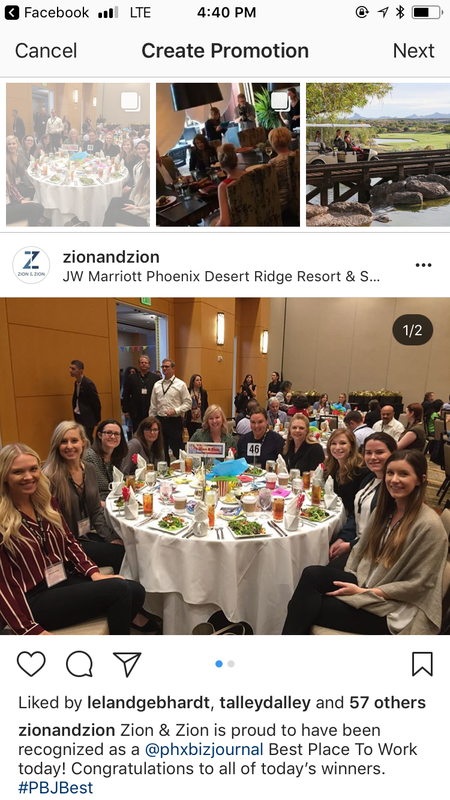 You can find this kind of Instagram testimonial by consistently monitoring your business mentions on Instagram, or by inviting fans to post about your products using a branded hashtag. The beauty of using Instagram posts as testimonials is that you not only have a text update that supports your products, but you also have a visual reference your customers can relate to. 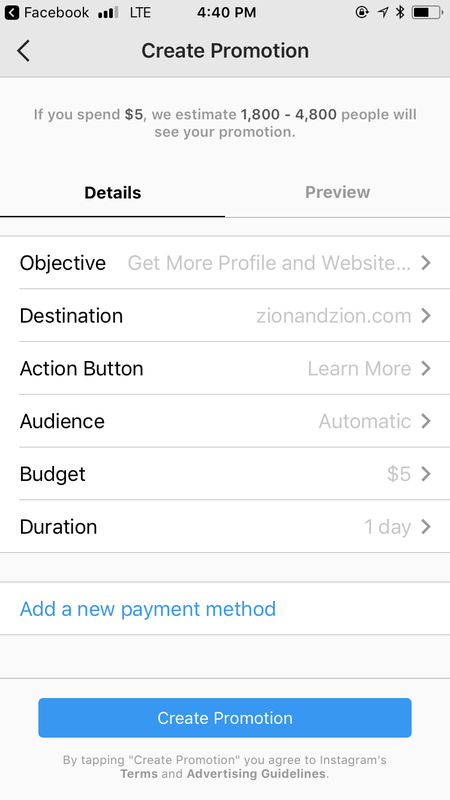 If you have a business account on Instagram, you can take advantage of paid Instagram advertising. We’ll go over the steps of setting up an ad in Instagram itself, but you can also add your account to your Facebook page and create ads in Facebook Ads Manager. 1. Click “Promote” to the left of “Edit Profile” when you’re on your profile on mobile. 2. 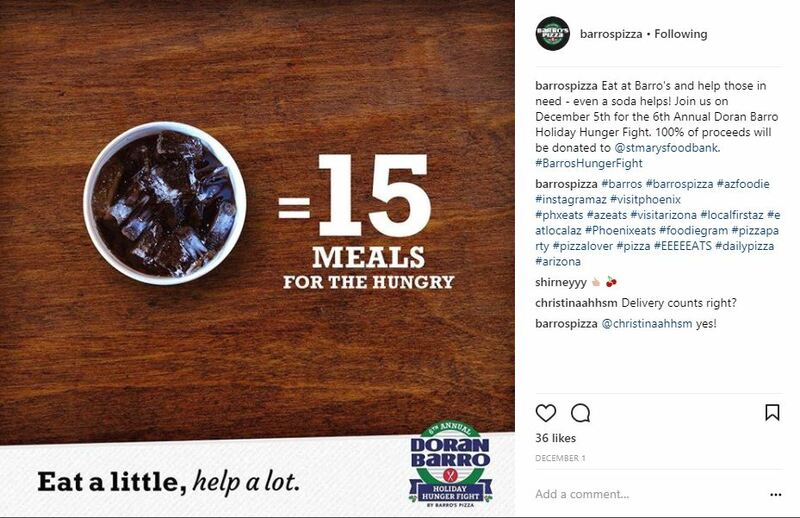 Select an Instagram posting that has already been published to your page to use for the ad. 3. Choose your advertising goal—more profile and website visits, or reaching people near a specific address. We’d recommend the first when you’re a newer account or if you’re focusing on building your audience. We’d recommend the second for increasing engagement on your post. 4. 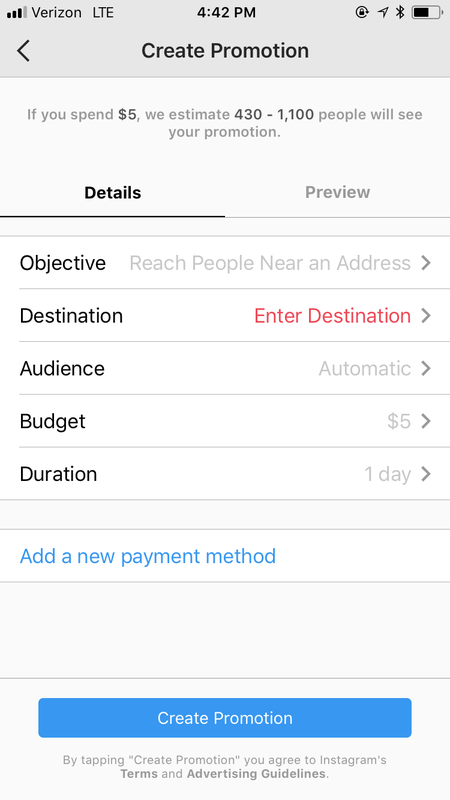 Before creating the promotion, finalize your destination, action button, audience, budget, and duration of the ad. To dive into advertising options within Facebook for Instagram, start here. 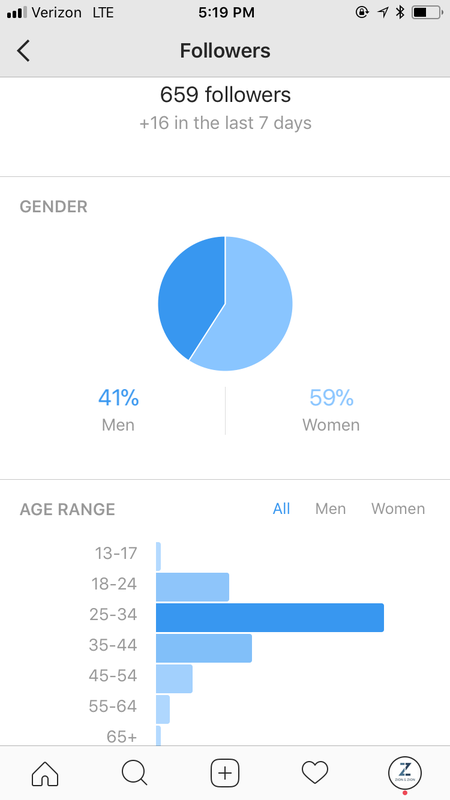 With a business account on Instagram, you have access to Instagram Analytics. Click the bar graph on the top right of your profile page to gain insight into your engagement and audience. Posts: Click to see all your published posts, up to the last two years, sorted depending on the filter of your choosing. Followers: See detailed audience information, including the times and days your audience is the most active on Instagram. Promotions: See the active and ended promotions you’ve ran on your Instagram account. The following are popular tools that businesses can use to manage specific aspects of their Instagram marketing, in conjunction with the tools Instagram offers within the app. Iconosquare provides key metrics about your Instagram account in addition to the ability to schedule your content for Instagram. Ink361 is an Instagram web browser that allows you to analyze your audience, create custom circles to monitor specific accounts, and monitor your competition. Onlypult is a tool that allows you to publish content to your Instagram through the web and share account access with your social media manager without giving them your Instagram account password. Later is a tool that allows you to plan and schedule your Instagram posts, and more. This company offers the Repost, PicFlow, and InstaQuote apps for more ways to share the content you care about on Instagram. Rival IQ is a competitor research tool that allows you to monitor your Instagram presence along with your competitors to ensure that you’re getting the most of your Instagram marketing in terms of positioning and engagement. SOCi is a social media management tool you can use to schedule Instagram posts for multiple businesses and locations, among other social media platforms. While this is not an exhaustive guide for the entire world of Instagram, we know these tips and tricks will give you a great foundation for this platform. Looking for further help managing your business’ Instagram account? Contact us today.